Edwin Ames Jaggard was born on June 21, 1859 in Altoona Pennsylvania. He graduated from Dickinson College (Carlisle, PA) in 1879, and received his Bachelor of Laws from the University of Pennsylvania in 1882. He came to Minnesota that same year, and joined the St. Paul law practice of Young & Lightner. In 1890 he married Anna May Averill. He was elected to the Ramsey County District Court in 1898. He served as a district judge for one term, and was then elected to the Minnesota Supreme Court in 1904. A reputable legal scholar, Jaggard was a lecturer on medical jurisprudence at the St. Paul Medical College. He went on to lecture at what is now the University of Minnesota Law School for 19 years, where then-Law School Dean W.S. Pattee stated that Jaggard was one of the most popular professors of the department. He was also the author of several treatises on torts and taxation, including the familiar Jaggard on Torts. The last work he did on the bench was the opinion of the court in the case of Keever v. City of Mankato (113 Minn. 55) establishing that a city is responsible for the quality of water it furnishes to its citizens. Judge Jaggard was known as a popular and generous man, whose Christmas gift recipients list contained roughly three hundred names. A post-mortem tribute tells of him placing his overcoat on the shoulders of a homeless person one cold day, and forgetting about it. He was also an avid outdoorsman. He was known to go fishing in the Mississippi River at the end of his workday, and commented favorably on the quality of the aquatic life therein. 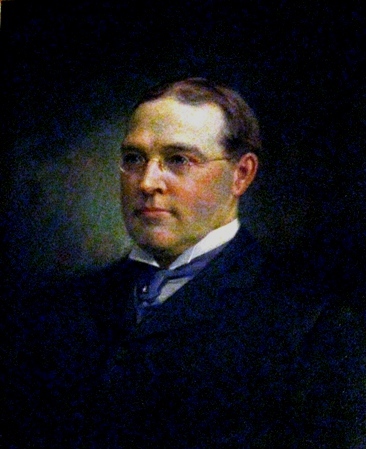 He served as Associate Justice of the Minnesota Supreme Court until his death on February 13, 1911 from heart failure while on a trip to Bermuda. He was only fifty-one years old. It was thought that his body was weakened due to a case of ptomaine poisoning (or just food poisoning).